This 75 foot black SVGA extension cable has a HD15 male and a HD15 female end. The cable features coaxial construction and double shielding. Its primary use is for extending the length of a computer to computer monitor connection for video display. The coaxial construction and double shielding work to suppress noise, delivering you the best picture possible. 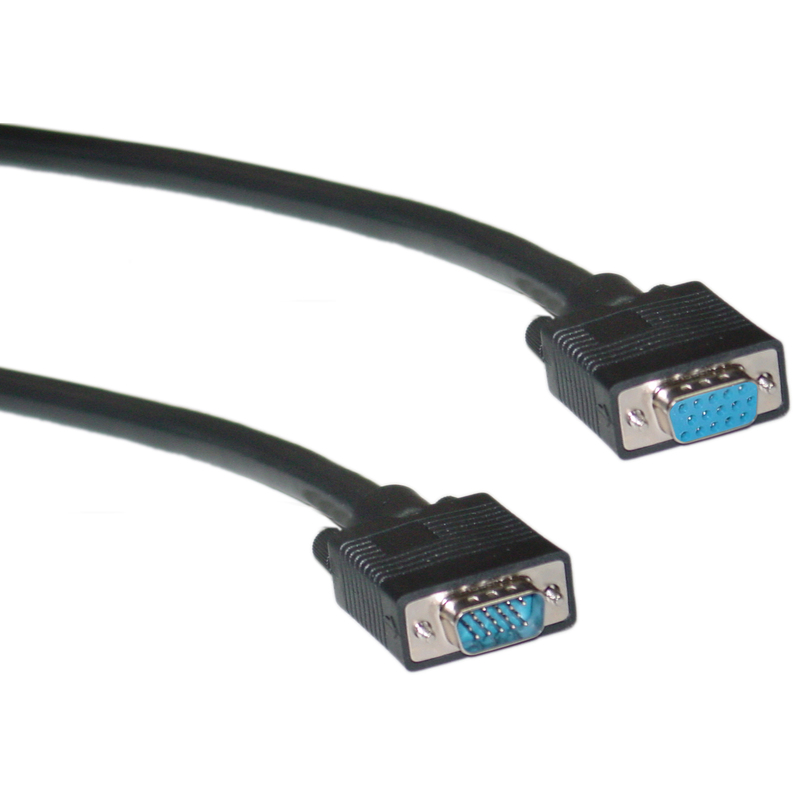 Our SVGA video extension cables can handle the lowest resolutions used on computer monitors today all the way up to a maximum of 2048 x 1536. Running a 25' VGA cable to a DA, then through this 75' extension cable, and the image on the monitor is crystal clear without a hint of ghosting!